Week 5 of the 2007 Summer QuickStart Tennis will be held on July 8th as previously mentioned. Have a great Fourth of July holiday weekend. We will end at 1:45PM. THIS IS A 1 WEEK CHANGE ONLY! This adjustment is due to the early day rainy weather and to accommodate our 6th Annual Tennis Family Fun Day event beginning at 10:30AM. For those who volunteered to help, please see us between 10 and 10:15AM at the courts. 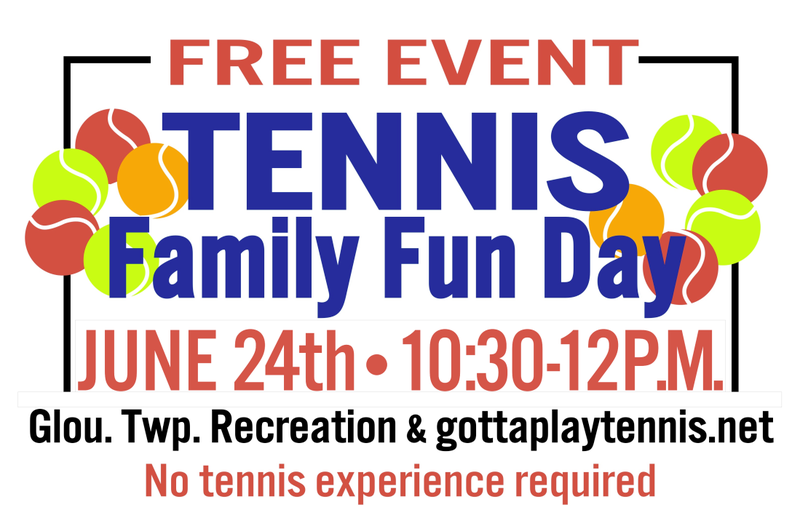 If you are not a scheduled volunteer, feel free to participate and have fun with other members of the community and their children during this event on the courts. Thank you to all in the community who participated in this event. Special thanks to all the volunteers who help make this event possible. Bring yourself, family members, refreshment, and a smile!